ChildFree Joys. LoLo's Seafood Shack. HarlemEatUp! The Dance of the Carnivore. Reading "The Childless Life" in the Times Style Section a couple of Sundays ago reminded me how revolutionary it felt in 1963 when I wrote an article on "The Joys of Not Having Children" for the Saturday Evening Post. The editors made me promise I would not get pregnant for at least two years. "What are you talking about?" I was indignant. "This is not just an article I'm selling you. This is about our lives. Our decision, Don Forst's and mine. I will not be getting pregnant. You can count on it." My title wasn't provocative enough for the Post. They called it "A Vote Against Motherhood." That got readers' attention. I received more than 500 letters, some condemning me and Don for selfishness, narcissism, even subversion. Another third of the letters were from readers who congratulated us for the intelligence of considering our options, and the wisdom of our decision. A disturbingly big batch came from women (mostly women) saying they wished they'd thought first before having children that now they regretted. Click here to read my article. That was 55 years ago. The percentage of childless women between the ages of 40 and 44 doubled just between 1976 and 2006 according to the article. I have no idea how many marriages these days are quickly, or even lazily scheduled, by the appearance of a baby bump, or the actually birth of a child or two. The positive news is that men and women do consider parenting as an option and feel free to decide against it. They are talking about the idea of not having children, and writing about it. The article cites the Los Angeles Times opinion columnist Megan Daum's anthology: "Selfish, Shallow, and Self-Absorbed: Sixteen Writers on the Decision NOT to Have Kids." I want to think my own own selfish, shallow, self-absorbed cry in 1963 was also perceptive, intuitive, thoughtful and possibly influential. I never regretted it. And when I asked Don years later, he said he did not regret it either. I do not regret it now. 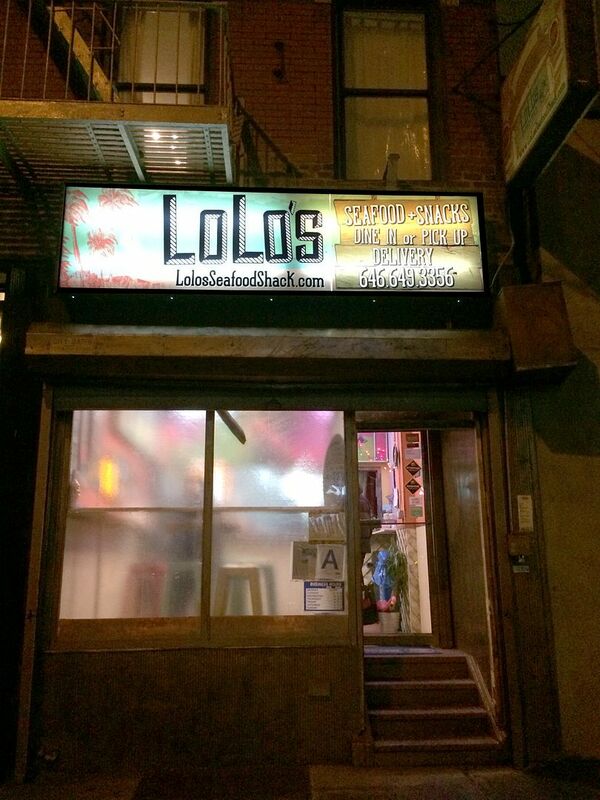 We agree to meet at Lolo's Seafood Shack in Harlem and grab a table. Ladies night out. 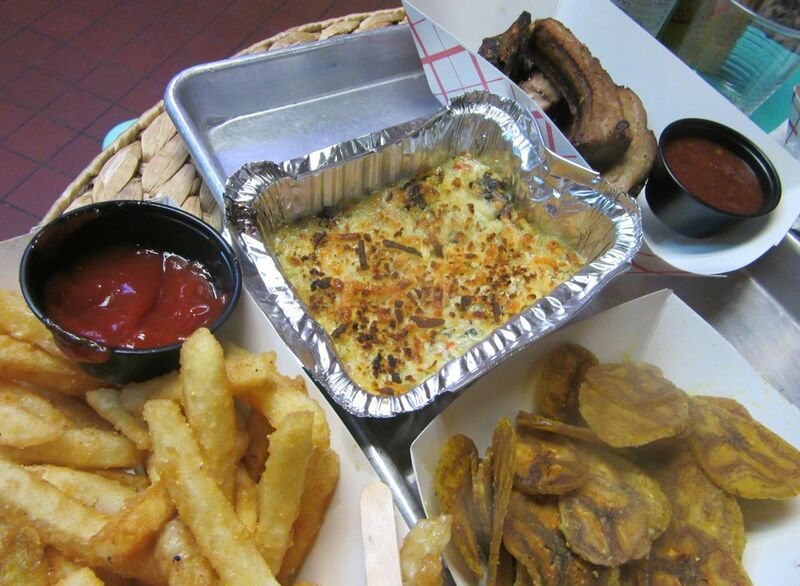 It's a breezy wet night and we crave a little Caribbean. My pal Vicki wiggles her car to the curb out front and pretends it's parked a safe distance from the fireplug. Diane and I run inside. The guy at the order desk tells us there's a private party in the back room. We grab the tall table upfront in the window, pull up birthday balloon-hued metal chairs and stake our claim. I figure no one will make us move with a big enough order and an ostentatiously generous tip. It's easy enough to forget the bluster outside, given the island beach shack do-it-yourself signage on blocks of green and shocking pink, and the plastic flamingo standing in a plant. A trio of locals steps ahead of us to order takeout. I eavesdrop to get the vibe, then order, surrendering my credit card. Seems like the natives here are pretty high tech. I sign the iPad with my finger and get the hoped-for gasp when I specify my tip. The garden will open soon. And a liquor license is waiting approval. Want to read more? Click here. I've been following the restaurant explosion north of Central Park. If you read my BITEs you would have been among the vanguard to learn about The Cecil. And granted I wasn't first with news about BLVD Bistro but I wasn't the last. Partly it's the taxi challenge. It's easier for me to get to 125th Street, east or west, than it is to cab or subway it down to Alphabet city. Certain of my dining out pals especially love exploring Harlem. But it's also about keeping up with the action since Citymeals-on-Wheels has been chosen as one of two beneficiaries of the ambitious Harlem EatUp! Festival in May. I didn't notice Texas de Brazil in big letters stretched across the second floor at 1011 Third Avenue right next to Dylan's Candy Bar. I always look longingly into the sugar wonderland of Dylan as I pass in a taxi so failed to notice anything else. 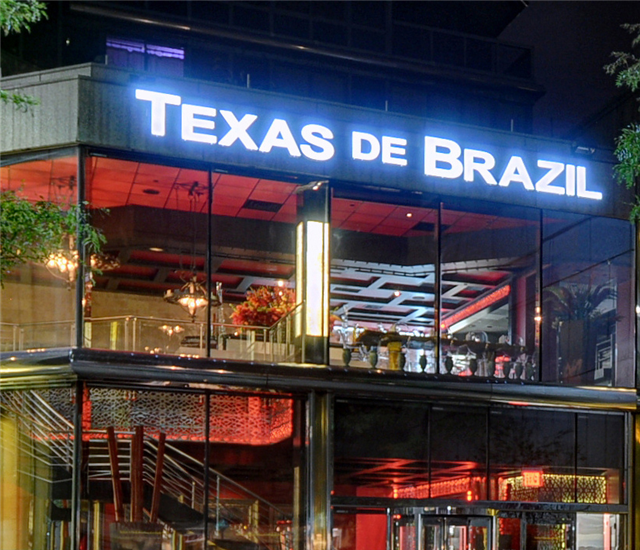 But I got a remarkably stupid press release promising that Texas de Brazil was unlike any experience I'd ever had. 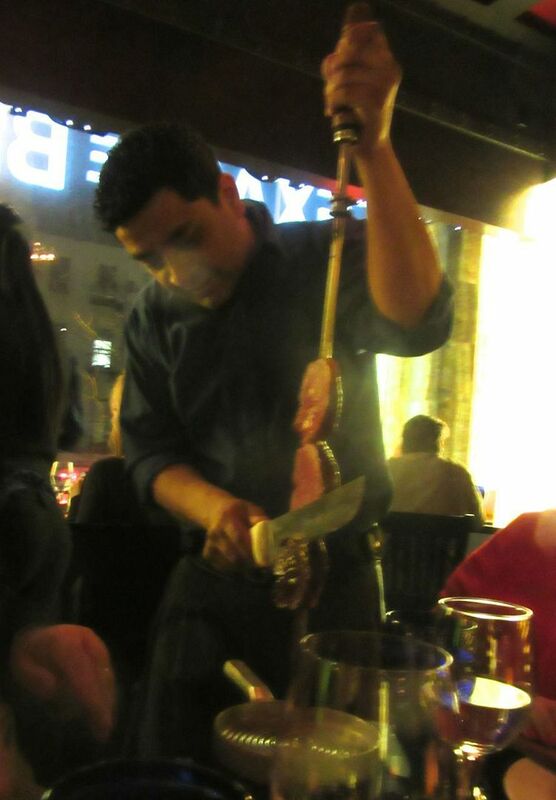 "Handsome servers decked in Brazilian attire breeze by your table in an exquisitely timed wave with each donning a selection of meat medium rare on a skewer to be slid off gracefully on to your plate." 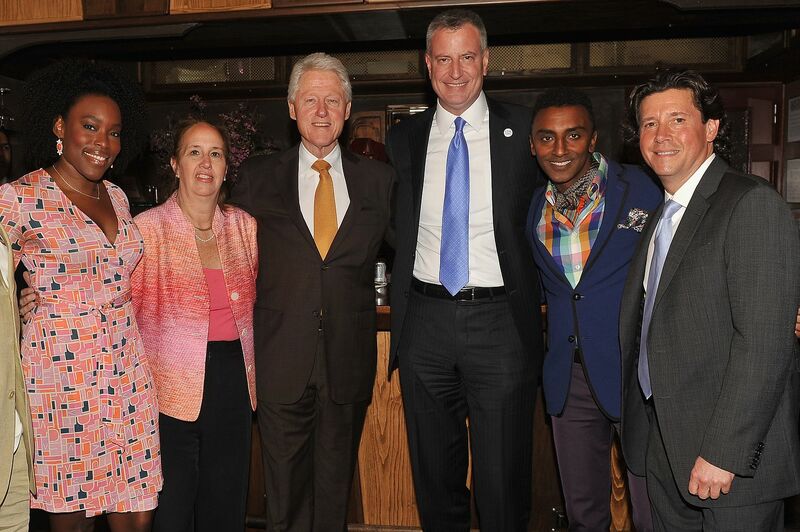 It was a dance between diner and server not to be found anywhere else "within all of NYC," the copy went on. "Where have you been?" I emailed back. "Have you never heard of Plataforma?" I asked, naming my favorite of our town's churrascos or rodizios, as they call them in Brazil. For some reason there was no reply. After all this, I decided to go. I invited a couple of friends who love meat. You're supposed to hit the buffet table first. 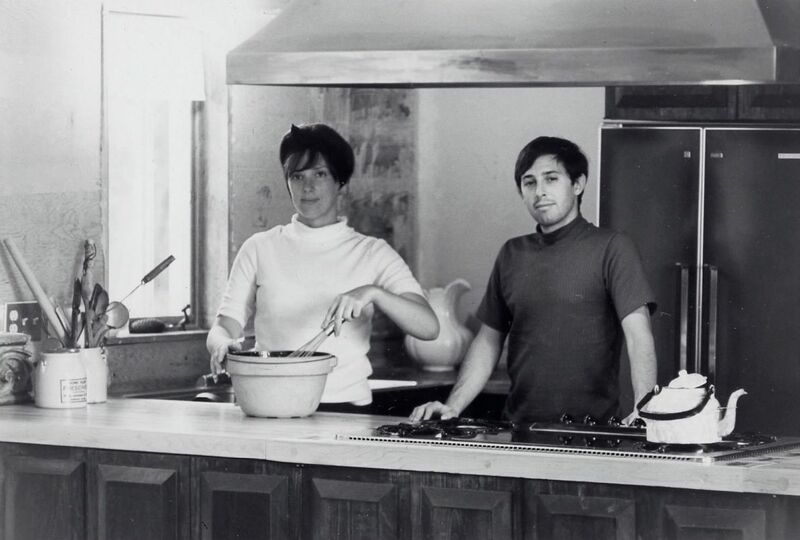 The hope, so obvious, is you will fill up on salads and charcuterie and hideous hot dishes and eat less meat. That buffet said it all -- very boring. But we flipped the counter on the table from red to green and a parade of waiters danced close. "Handsome" is a concept that varies. Maybe delicious does too. I was able to get various cuts of beef "somewhat rare" and "almost rare enough." The top sirloin finally "very rare" was the best. I liked the sausage too. Dinner was $59.99 each, plus $69 for a smooth Cabernet. We drank our red wine and had a good gossipy time as we three always do. If you're game for this dance, try Churrascaria Plataforma at 319 West 49th between 8th and 9th Avenues. 212 245 0505. It's not as marvelous as it seemed years ago when it opened but it's the best in town right now. 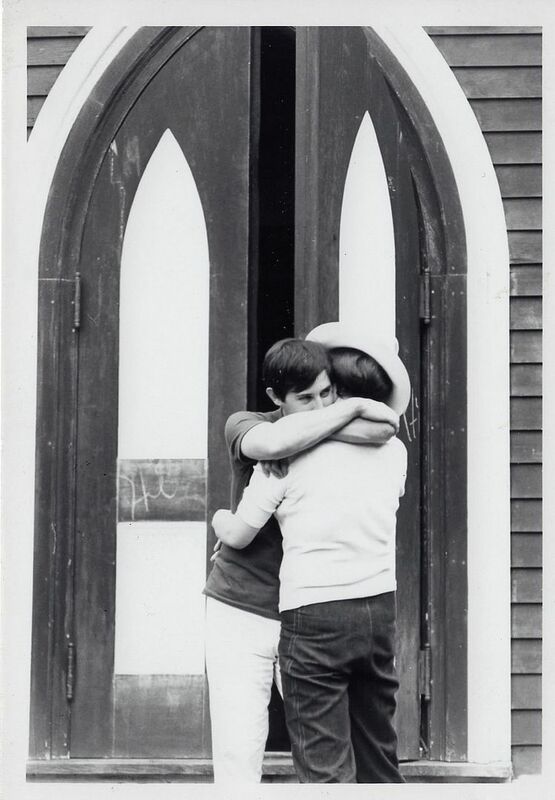 Photographs of Don Forst and me at the little church outside Woodstock, LoLo's entrance, the table covered with our order, and the waiter slicing top sirloin at Texas de Brazil, may not be used without permission from Gael Greene. Copyright 2015. All rights reserved.